Today, WAR Stratics and 6v6v6.com embark on their invasion of Mythic HQ. They are not in this alone, as I will be throwing my support behind the operation. Of course, I will be doing it from the safety of my own home. Basically, it's a press type event where we will get a glimpse of what the Mythic folks are working on. The trip is primarily about Wrath of Heroes, so I don't expect much about Age of Reckoning although we know what they are up to (1.4.6!). There will be an embargo on what we see, so sadly I probably won't have anything good to immediately share. It should be fun though! For your Friday reading, I suggest Massively's hands-on with Rift: Conquest. 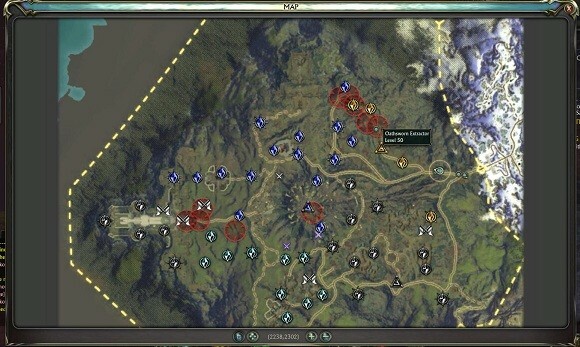 I've written about Rift's new PvP system, Conquest, before but now have a better understanding about what it actually is. Primarily, it is much bigger than a warfront, but is still an instance. Conquest has certainly piqued my interest. However, I don't think I have it in me to PvE to the cap just so I can check it out. Trion made a short developers video about Conquest, watch it here.